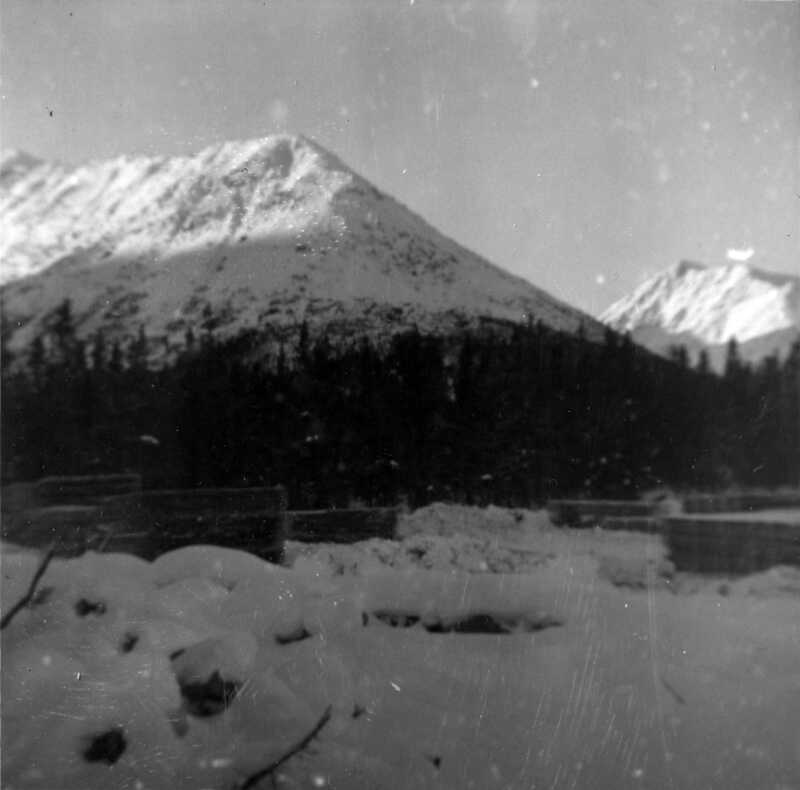 Photograph depicts approximately six lumber piles in the northwest corner of snow-covered plant site. Forest and snow-capped mountains in background. Photo taken facing west. Handwritten annotation on recto in blue ink: "LUMBER PILES IN NORTHWEST CORNER OF PLANT SITE - LOOKING WEST DEC. 22/51" "T.T.T. ".